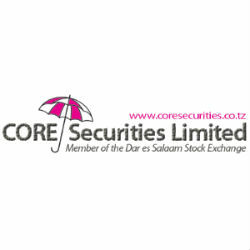 According to the Weekly Market Report of the trading week ended on 7th August 2013 issued by CORE Securities, a leading Tanzanian licensed stockbroker, the Dar Es Salaam Stock Exchange total turnover decreased by -46% to 484.75 million from 905.48 million. Both local and foreign investors participated in the market. Foreign Investors participated by 0.00% while Local Investors by 100%. All Share Index (ASI) closed at 1611.48, the Tanzania Share Index (TSI) closed at 1962.61, the Industrial and Allied Index (IA) closed at 2075.33 and the Bank Finance and Investment Index (BI) closed at 2070.78 points. Most of activities were seen on NMB and CRDB counters. Last Treasury Bills auction was done on 31st July 2013 with a total of 222 successful bids. Spot gold was up by 2.61% TZS 2.134 million per ounce (1 ounce = 31.10 grams) on Friday 9th August.